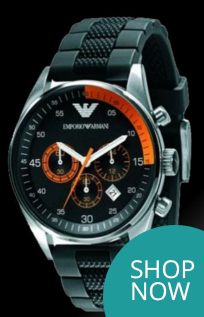 This men's Emporio Armani watch features a high shine stainless steel gold bezel set on a round case. It has a sleek Silver dial with chronograph, 24-hour dial, date function and silver high-visibility batten hour markers. 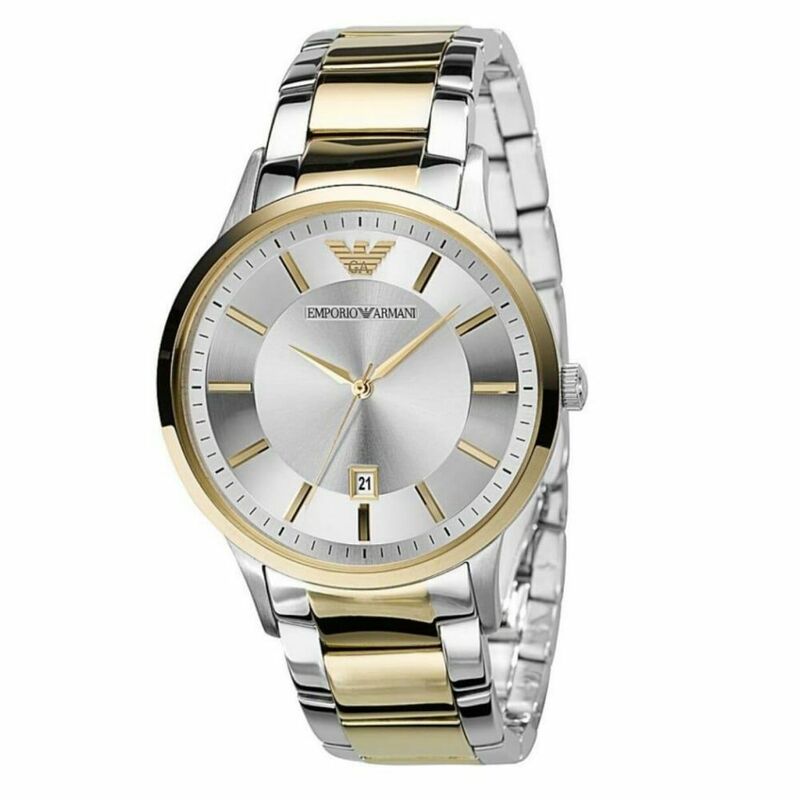 The 12 O’clock marker is a clear Emporio Armani gold logo for added style. The chunky Two- tone Stainless steel bracelet fastens with a hidden clasp and the watch is powered by a quality quartz movement.